This is the biscotti that I love the most and I post it here especially for my friends, Angelina and Carolyn. I think they love it almost as much as I do. I’ve mentioned before that I am a ginger fiend and this contains tiny little specks of absolute deliciousness in the form of some of Buderim’s best. But more on that later. 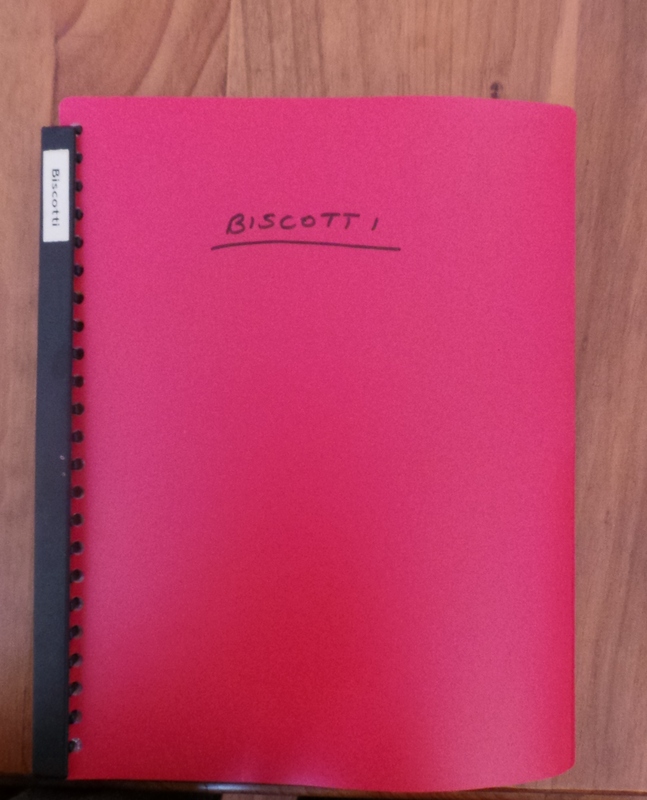 I discovered this recipe on www.foodfit.com, according to the printout I have in my Biscotti file. The thing is though…it doesn’t seem to be there any more. It’s disappeared sometime in the last 8 years or so. Too spooky for me, as The Boy would say. 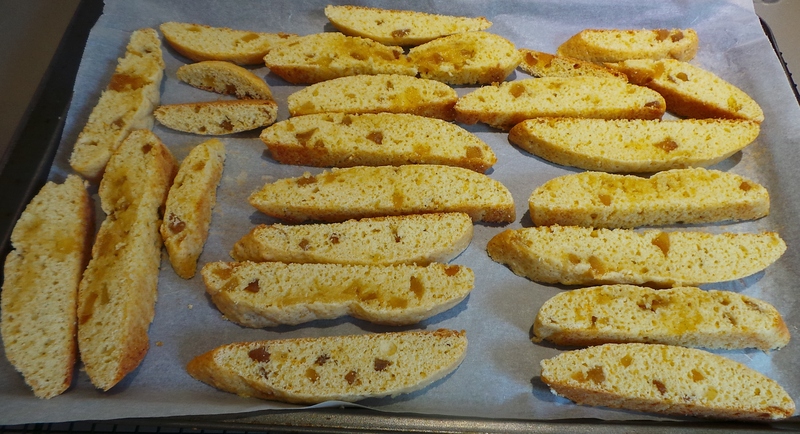 This biscotti recipe uses crystallised ginger cut into tiny little pieces. 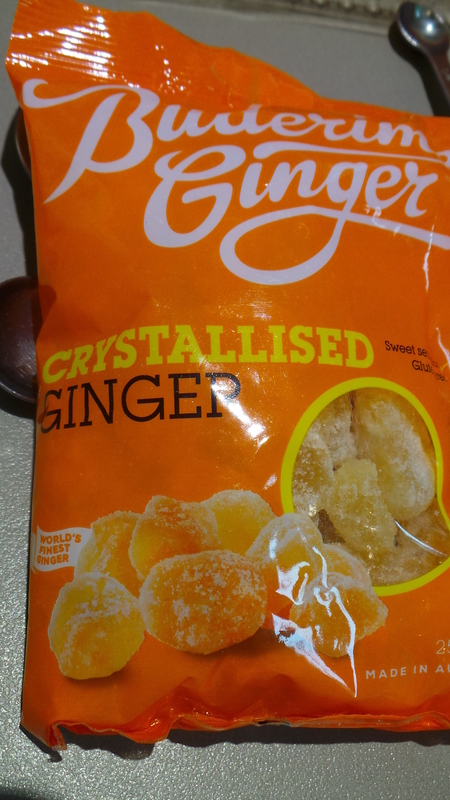 I prefer to use Buderim’s Naked Ginger, which is the same sort of thing but without the traditional coating of sugar. But back to the biscotti. It’s relatively easy to make. The flour, sugar, ginger and white pepper are all sifted together. The original recipe called for black pepper, but I think white pepper is better, aesthetically-speaking. Hmmm, is it just me? Sift together your flour and spices. Stir them up a bit. Then add the orange zest and finely chopped ginger. Add the zest and the finely chopped ginger. Stir it up a bit more. 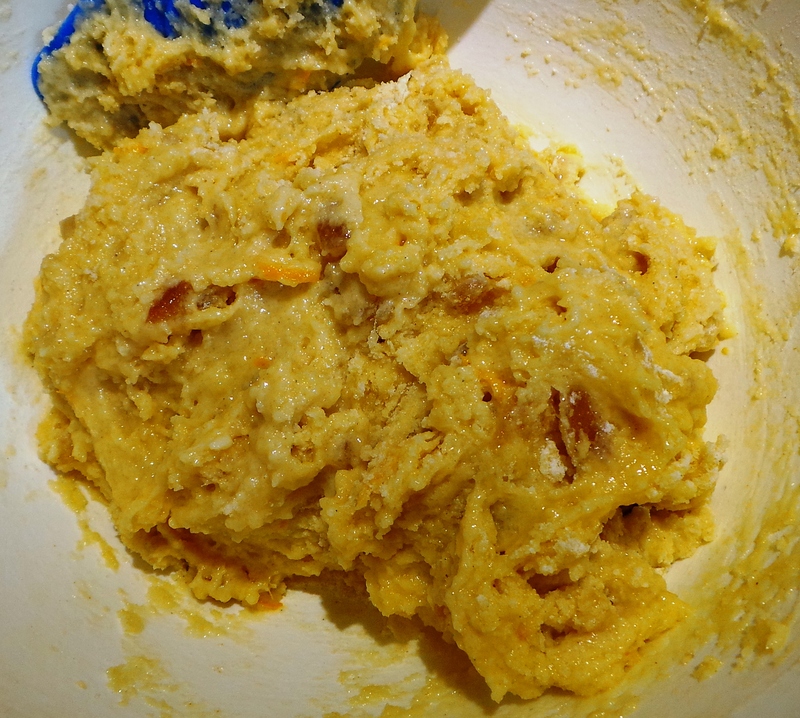 Then, in a small bowl, whisk together 3 large eggs and 4 tablespoons of the oranges’ juice. 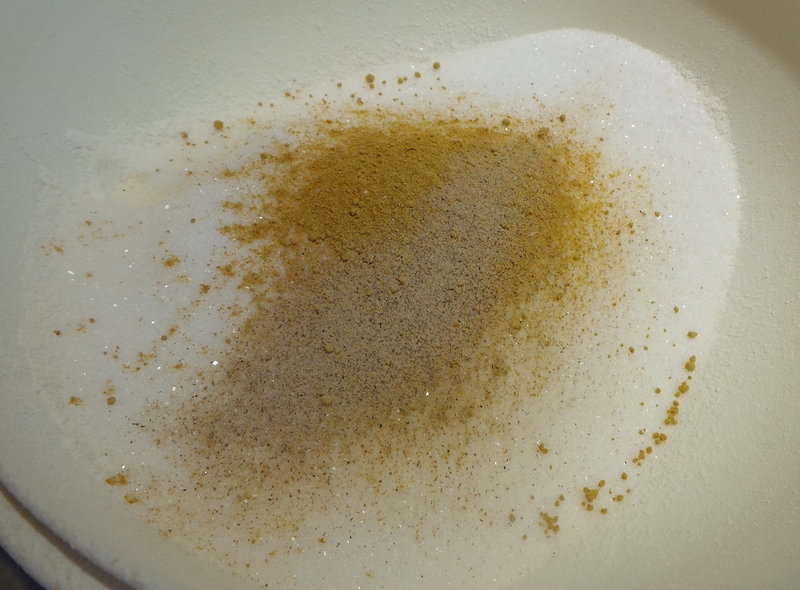 Make a well in your flour and add the liquid to the dry. Mix well, until it forms a stiff dough. I have to admit that I have NEVER made a stiff dough with this recipe. Ever. According to the recipe, I should then put the batter on a lightly sugared surface and divide and roll it into 4 pieces. Nothing is ever not going to happen like that isn’t. It doesn’t need the extra sugar, for a start. Let’s just say we rolled them in sugar and stuff, okay? No-one has ever complained that my biscotti are not geometrically perfect. They know better than to speak with their mouths full. It is then baked in a moderately hot oven for 15 mins, during which the ‘logs’ double in width (and the scraggy edges kind of smooth out). When they are firm to the touch, they get taken out and cooled on racks for about 15 mins. See? They look okay, don’t they? During the cooling period the oven is also turned down a tad. When your logs are cool to the touch, that is the time to wield your serrated knife. With gusto. The importance of the serrated knife is explained here. 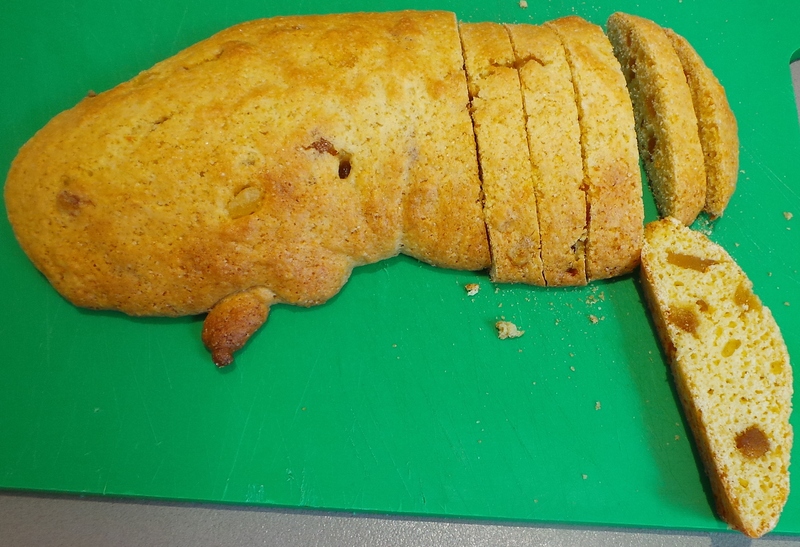 Slice (saw) your biscotti into slices about 1 cm or ½ an inch thick. Traditionally this is done on a slant, you don’t have to follow tradition. If you’d prefer straight and not diagonal slices, then go for it. Your biscotti will seem somewhat cake-like, be gentle with them. They are now placed back onto the baking trays and popped back into the oven for another 10 mins, until golden brown. If they aren’t getting to be crisp, then turn them over and pop them back in for another 5-10 mins. Ready for the second baking. When they are getting to golden, take them out. Remember they will continue to harden after they are taken out of the oven. Place back on the cake racks and cool completely. Then dunk them in something worthy of them. I’m going to reproduce the recipe as it is in my biscotti file, but if you don’t have a firm dough and don’t want to make play-do type sugar-coated sausages with it, then see above. Heat the oven to 180°C/350ºF. In a large mixing bowl, sift together flour, sugar, salt, soda, ground ginger and pepper. 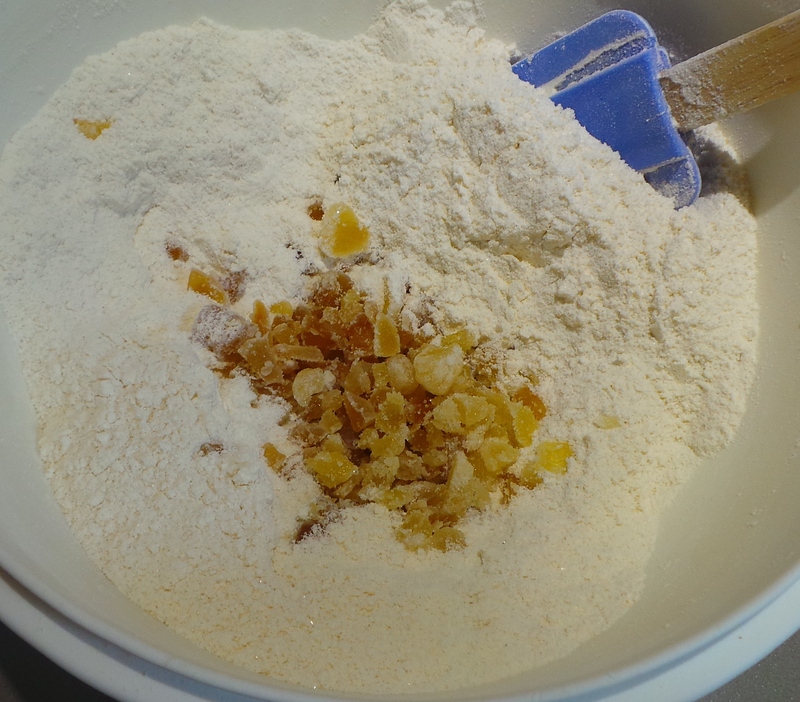 Add 1 tablespoon of orange zest to the bowl along with the finely chopped candied ginger. Mix. Squeeze your oranges and strain and reserve 4 tablespoons of the juice. In a smaller bowl, whisk the juice and eggs together. 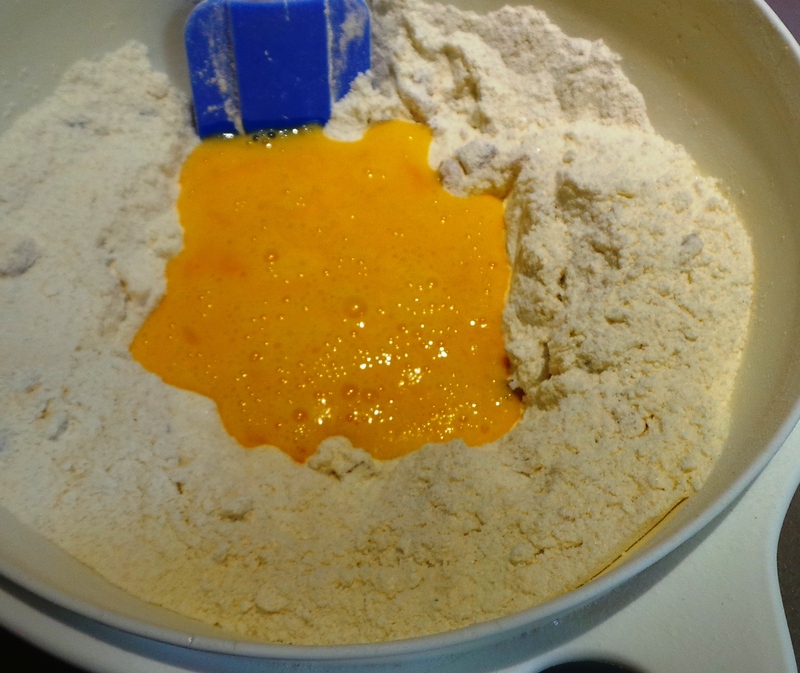 Add the egg mixture to the flour mixture and stir until a stiff dough forms. 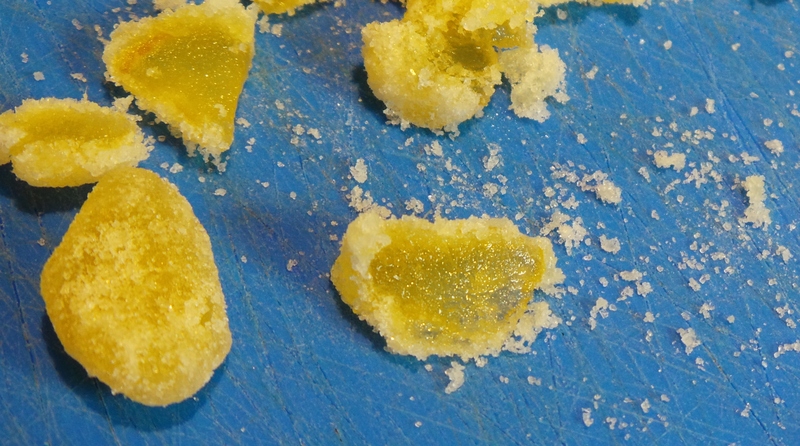 Scrape dough onto a lightly sugared work surface and divide it into 4 pieces. Roll each piece with the palm of your hands into a log slightly shorter than your baking sheet. Place two logs on each baking sheet, several inches apart. The logs will double in width during baking. Bake for 15 mins, or until the logs feel set or firm to the touch. Place the baking sheet on a cake rack and allow to cool. Reset your oven to 150ºC/300ºF. When your logs are cool to the touch, place them on a cutting board. Using a serrated knife, slice them into 1cm/½ inch wide diagonal slices. 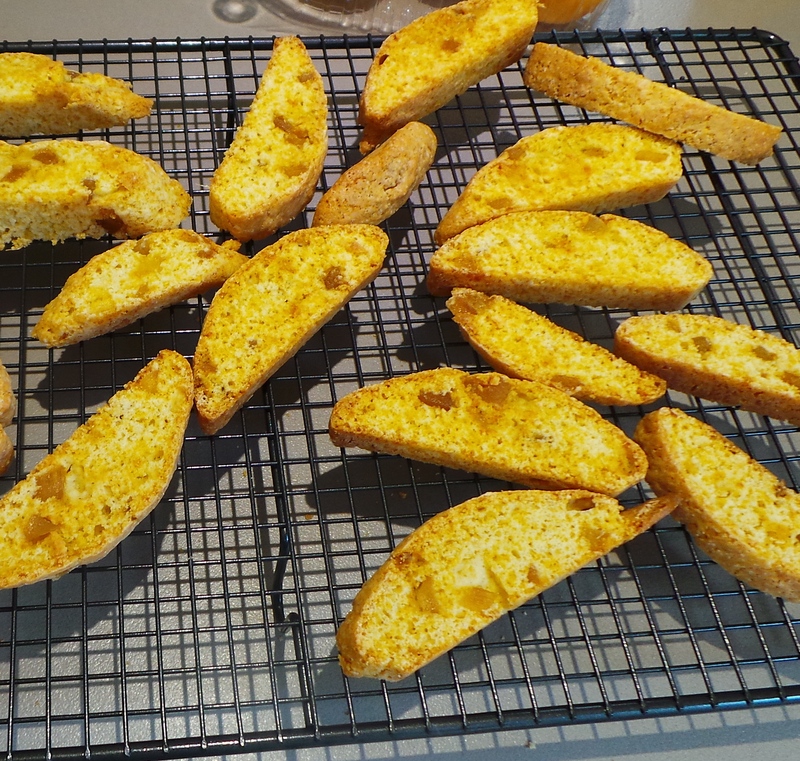 Lay the biscotti out onto papered baking trays in a single layer and bake for a further 10-15 mins, until they are dry and lightly toasted. Place on racks to cool completely. Store in an airtight container at room temperature. Will keep at least 2 weeks. Time to make some then..?